“It is a great honor for me to address you as you graduate from this outstanding high school of international reputation,” said Dr. Pavoncello, whose mandate as JCU President was recently renewed for the next three years, until June of 2019. Professor Mike Watson, an art theorist and curator holding a PhD in Philosophy from Goldsmiths College, joined John Cabot’s faculty in 2015. Congratulations to John Cabot University Class of 2016! John Cabot University celebrated its 144th Commencement ceremony on May 16, 2016 at the Villa Aurelia on the Janiculum Hill overlooking the city of Rome. 146 students representing 26 countries throughout the world received Bachelor of Arts degrees. John Cabot University’s Vice President and Dean of Academic Affairs Mary Merva is pleased to announce the Valedictorian for the Class of 2016, Silvia Bezzi. The John Cabot University Athletics Department is proud to present the recipients of the 2016 Athletics Awards for distinguished contribution in the Athletics Department. On Friday, May 6, 2016, Business Administration and Economics Professor Pal Belenyesi held a full-class lecture at St. Mary College, in California. Last month, Political Science Professor Federigo Argentieri was invited to present his point of view regarding US-Cuba relations to the monthly meeting organized in a Roman hotel by Mediatrends America, an independent press association. Professor Pietro Paganini teaches Business Administration at JCU. On April 30, 2016, Business Administration Professor Pietro Paganini published an article in the Italian daily newspaper La Stampa entitled: "Solo la scuola è rimasta stupida" ("Only School Remains Dumb"). Leonardo is the youngest policy adviser at the European Political Strategy Centre. 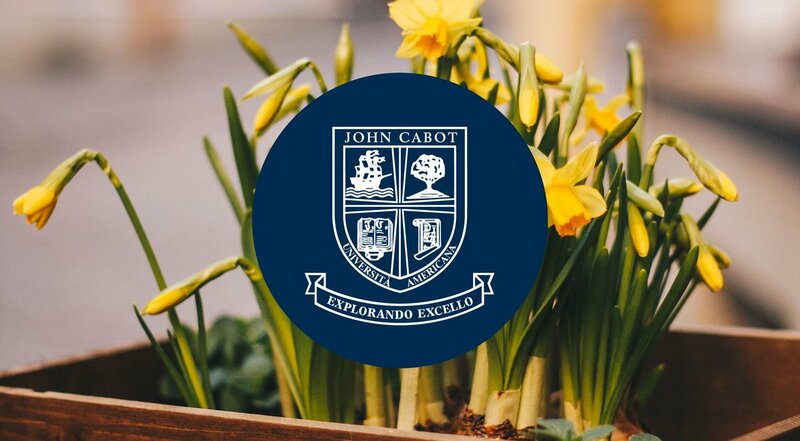 It is a great privilege for John Cabot University to welcome Hon. Dario Franceschini, Italian Minister of Cultural Heritage and Tourism, as this year's Commencement Speaker.